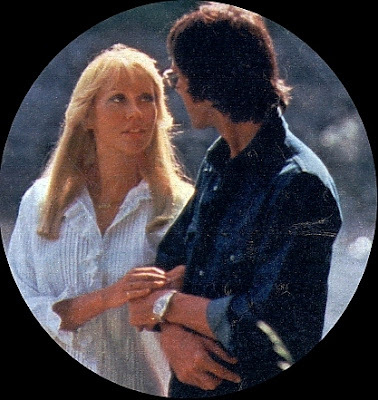 Frida and Agnetha giving actor Robert Hughes some extra attention while working on ABBA The Movie in the summer of 1977. 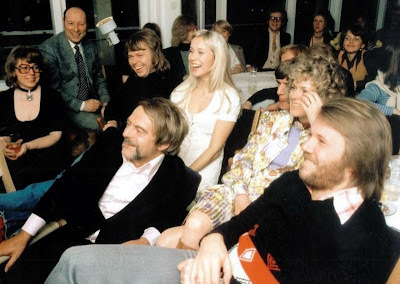 Bjorn, Agnetha, Stig, Frida and Benny and guests (all at Stig's house) celebrating ABBA winning Melodifestivalen in February 1974 and probably watching the show. 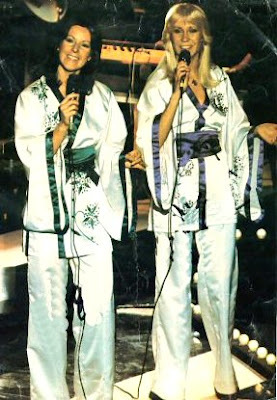 Frida and Agnetha performing live for the Swedish tv show Abba D'abba Dooo in the summer of 1976. 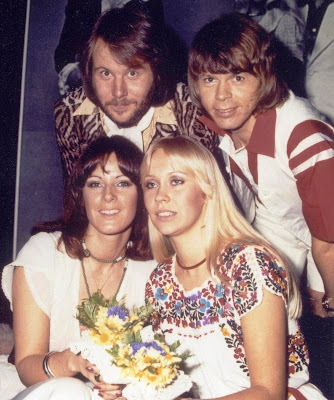 ABBA at the Polar Studios in 1978.